So you think you are a know-it-all? 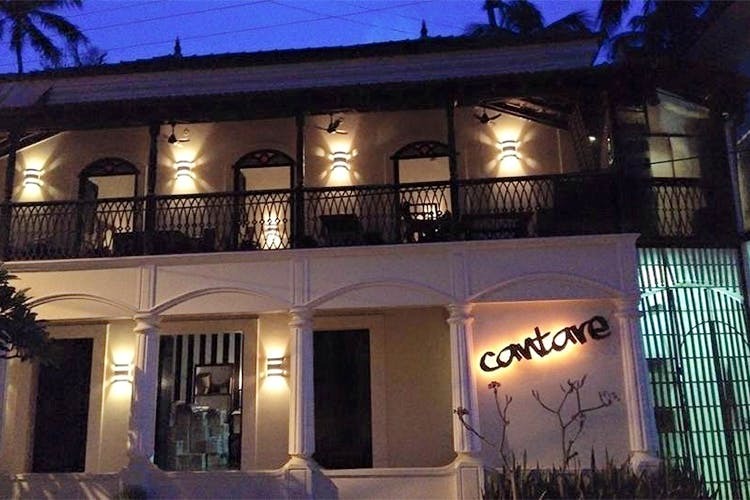 Well then head on down to Cantares, the local watering hole in Saligao to test that theory. Every Wednesday evening, one can say that they were doing something productive and educational whilst out drinking in Goa. Mark, who conducts this fun quiz, loves being the ultimate ruler of this kingdom for a few hours. There are usually about 5 rounds including movies, music, general knowledge, sports and more. The first round is the killer round for scoring or losing serious points. So find that empty glass or bottle to make it your buzzer. Every question in this round gets you points for a correct answer and loss of points for a wrong one provided you bang your buzzer bottles first. The other 4 rounds one writes down answers like most quizzes, but as the night gets going expect the fun quotient to get higher. You will meet a lot of the locals that have made this their regular weekly activity. And then quite a few tourists that come for dinner and usually get roped in for the quiz. And if you want the fun to continue, there is karaoke post the quiz. Well the prize is definitely not a certificate or a plaque. But it could be a giant glass of cocktails to a bottle of wine or food or anything that the owners Mervin & Joanne dream of. The team with the most innovative name gets an extra 3 points, so get your crazy on!